CO2 skin resurfacing can erase years from your face and dramatically improve the appearance of wrinkles and pigment. Dr. Bunin uses the Silk Touch Laser to reduce find lines and wrinkles around the eyes, on and around the lips, and across the cheeks. The laser can also soften deep frown lines and laugh lines as well as minimize scarring due to acne or surgery. The procedure can also be used to remove ages spots and to improve hyperpigmentation or sun damage. 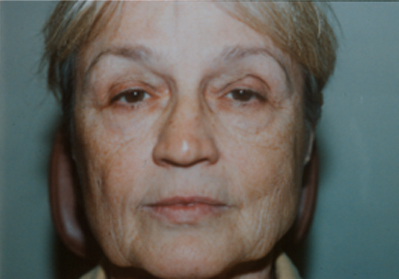 The “before” photo of Dr. Bunin’s patient shows bad sun damage, wrinkled and sagging skin. 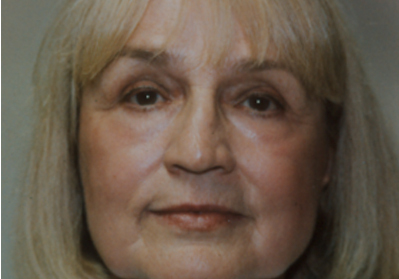 The “after” photo shows improved skin tone, reduced wrinkles, more even skin tone. Patient looks years younger. The patient’s skin had sun damage, uneven skin tone and dark spotted pigmentation. After Co2 laser resurfacing, patients skin was returned to clear, youthful, flawless skin. This patient had moderate pigment discoloration on both of her hands. 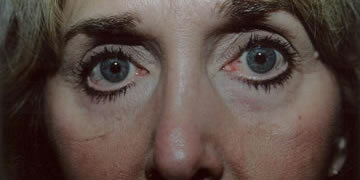 After just one CO2 Laser Resurfacing treatment the appearance of her skin greatly improved. To learn more about CO2 Laser Resurfacing click here. What Can CO2 Laser Resurfacing Do for You? Dr. Bunin was one of the first physicians to train in and perform laser skin resurfacing. She has successfully performed thousands of CO2 laser resurfacing procedures. As an active member of American Society for Laser Medicine and Surgery, she is considered an expert in the field. The Silk Touch Laser offers immediate results which improve over time. Skin treated by the Silk Touch Laser heals in four to six days, after which cosmetics can be applied. The initial redness fades in a few weeks to light pink, and usually disappears completely in a few weeks. It is important to use sunscreen and to avoid sun exposure for several months, as this can cause changes in pigmentation. During the consultation for laser skin resurfacing, Dr. Bunin will discuss your medical history, skin type, and desired results. She takes an individualized approach when it come to laser resurfacing to accomplish the best possible results for her patients. 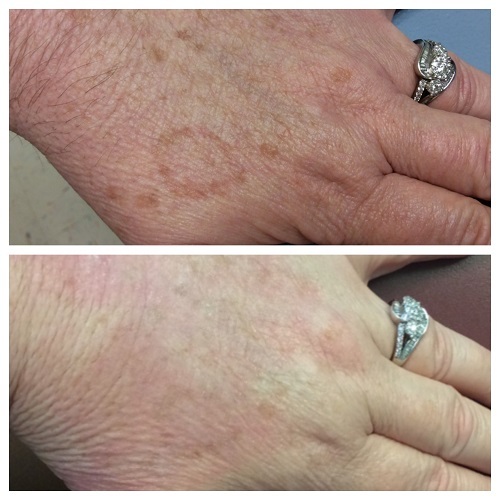 Silk touch laser resurfacing procedure is performed by Dr. Lisa Bunin in her office located in Allentown, PA. Dr. Bunin has patients who come from all over Pennsylvania to have her do their procedure done. If you live in Philadelphia, York, Reading, Williamsport, Bethlehem, Pottsville, Lebanon, Lancaster of Lewisburg you are in convenient driving distance. You will need to have a relative or friend to drive you home after having the procedure.